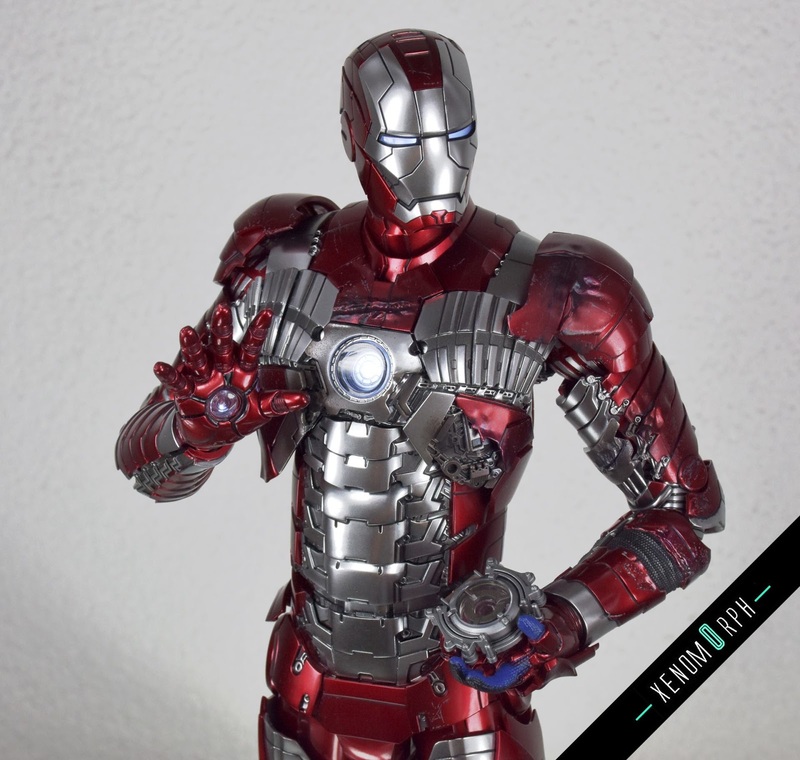 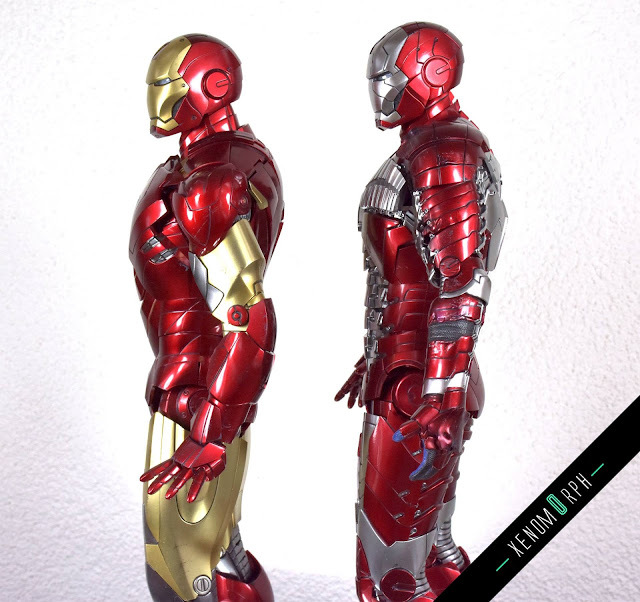 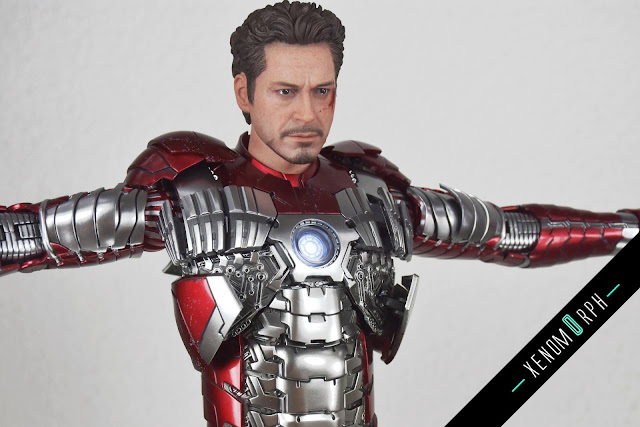 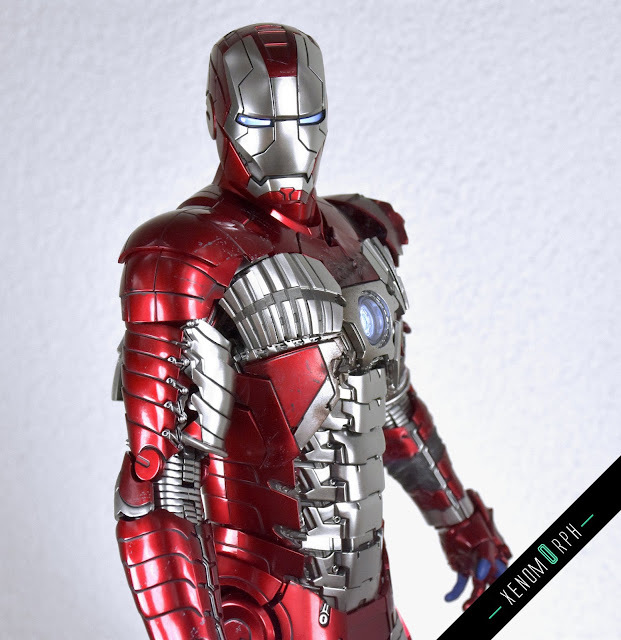 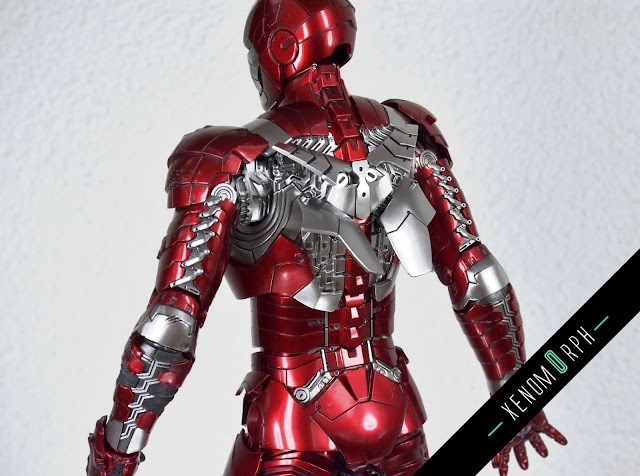 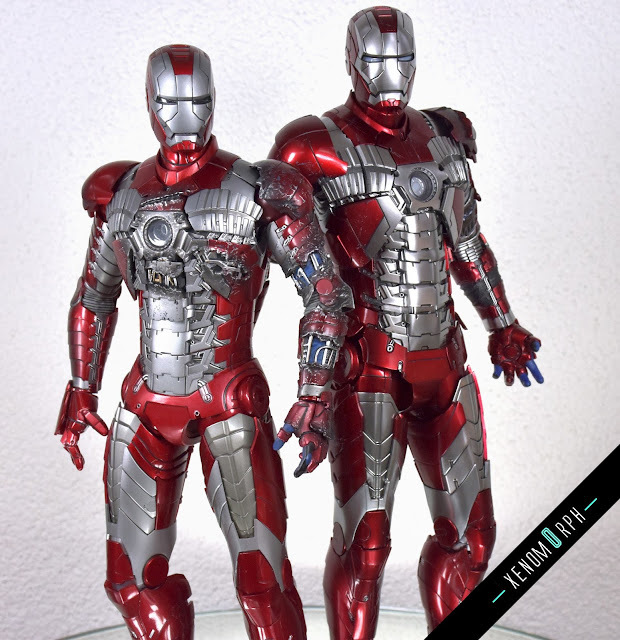 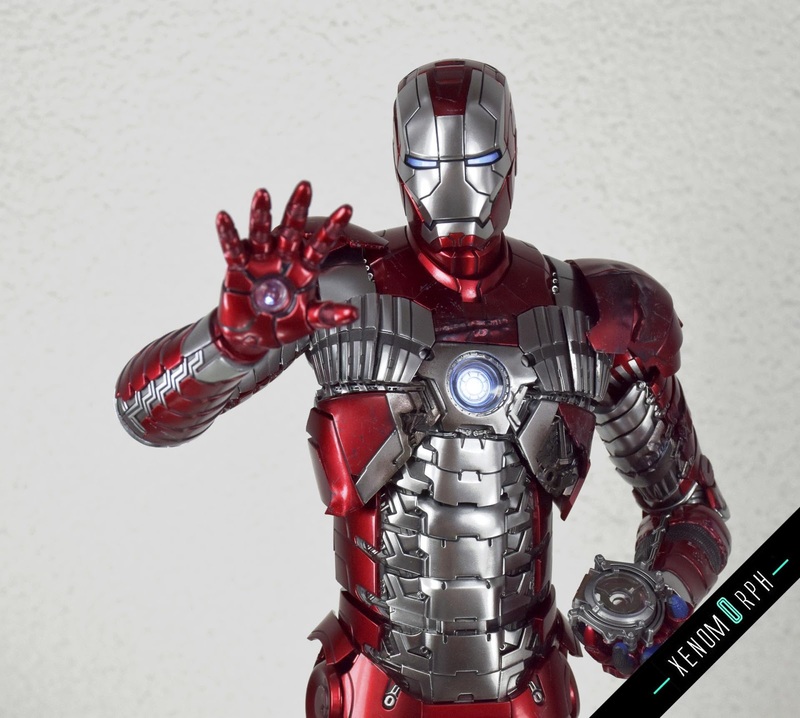 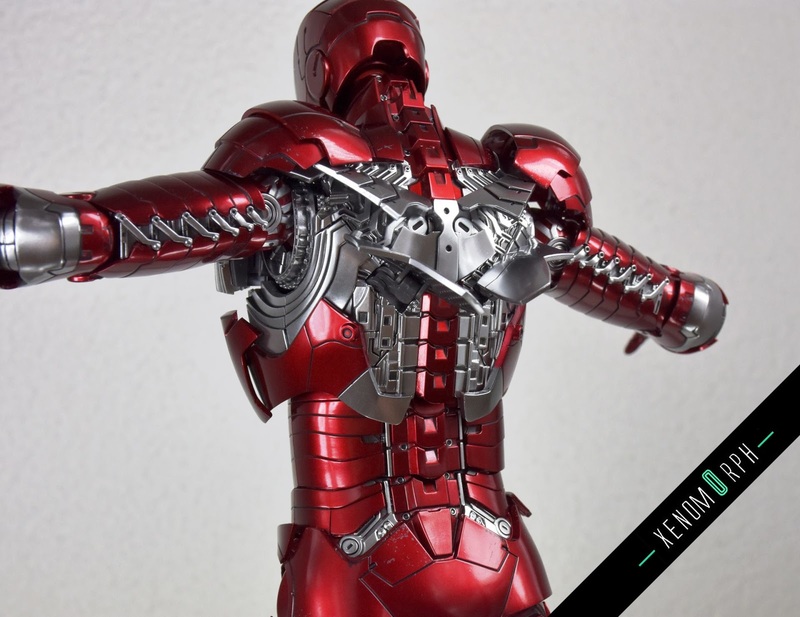 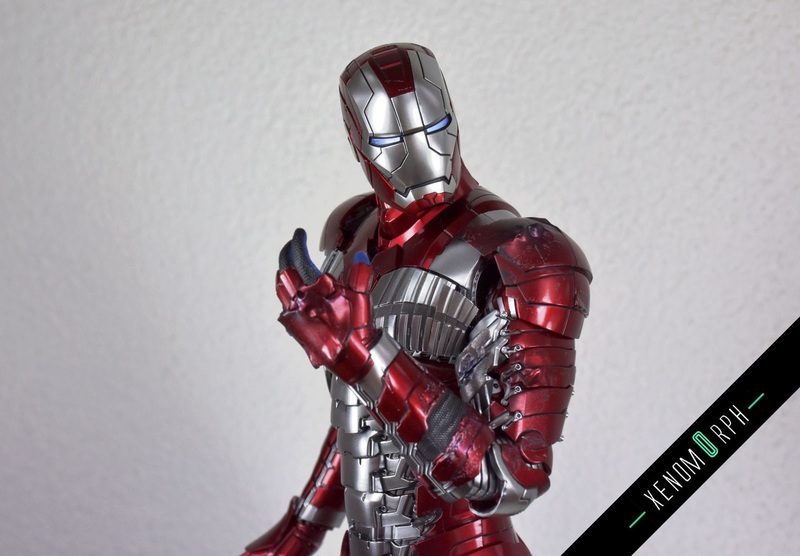 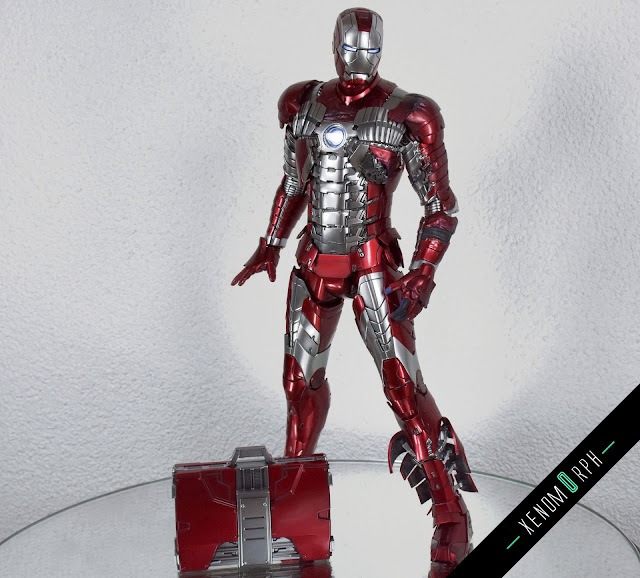 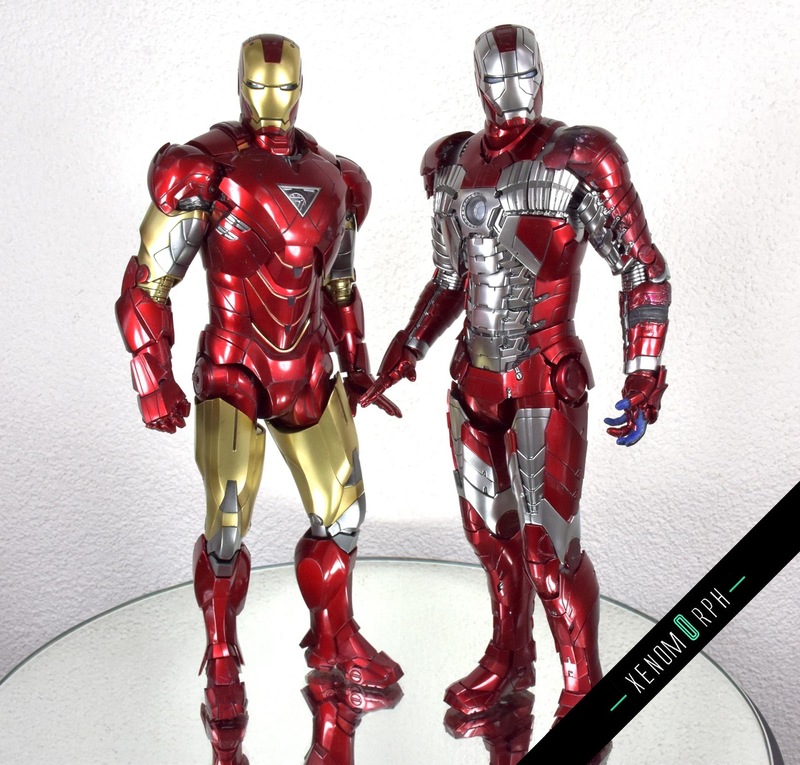 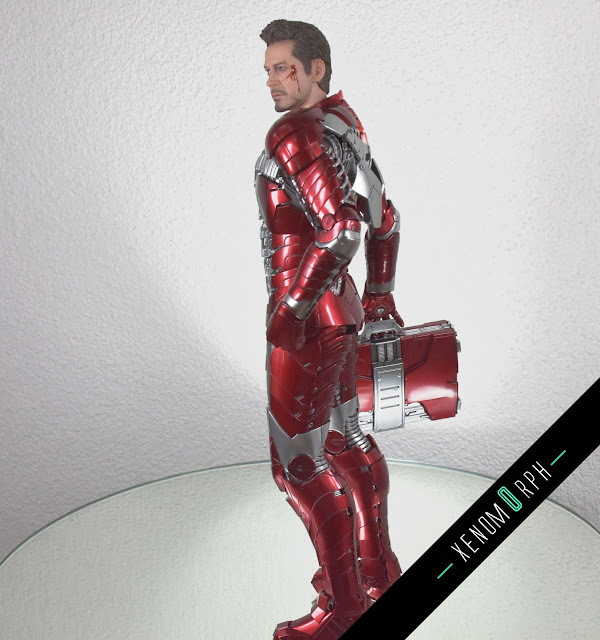 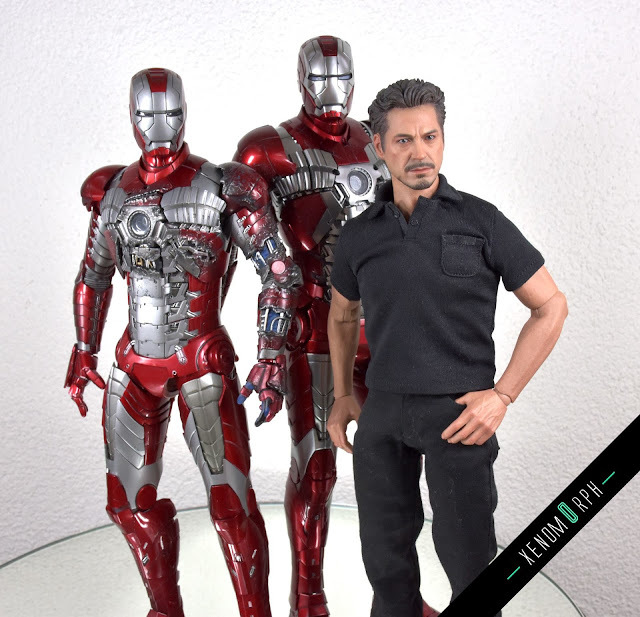 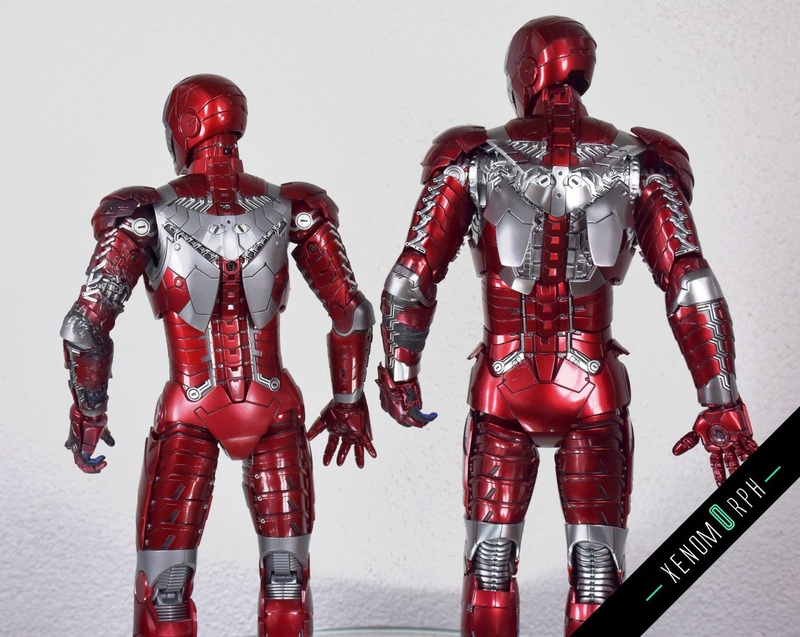 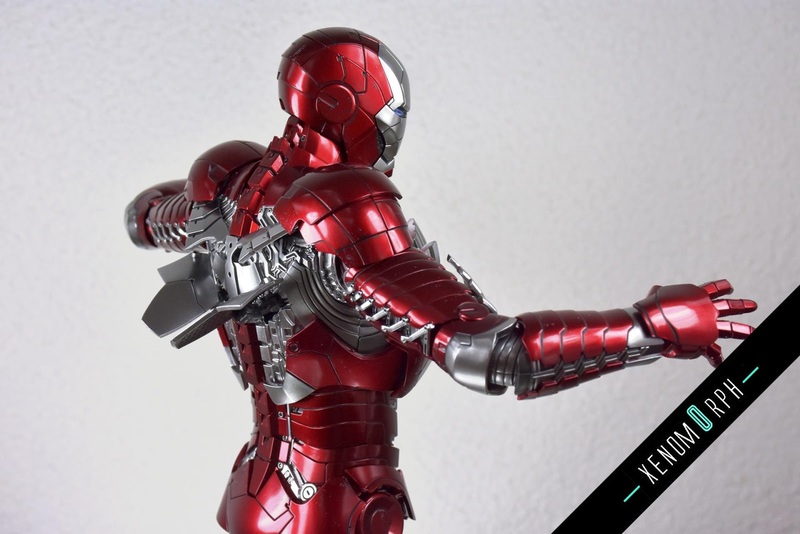 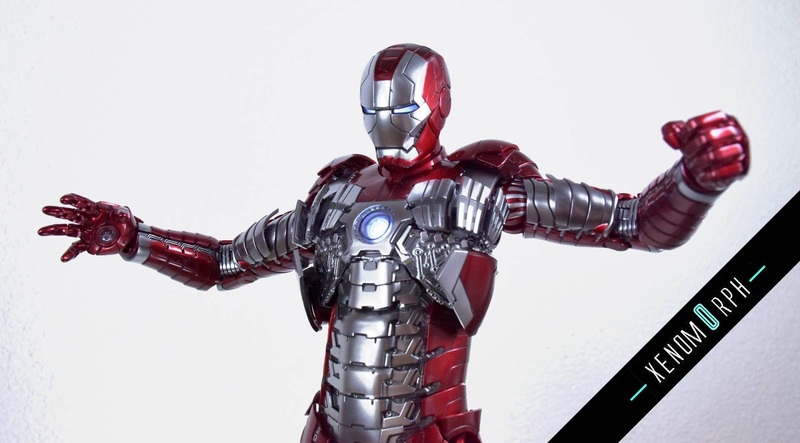 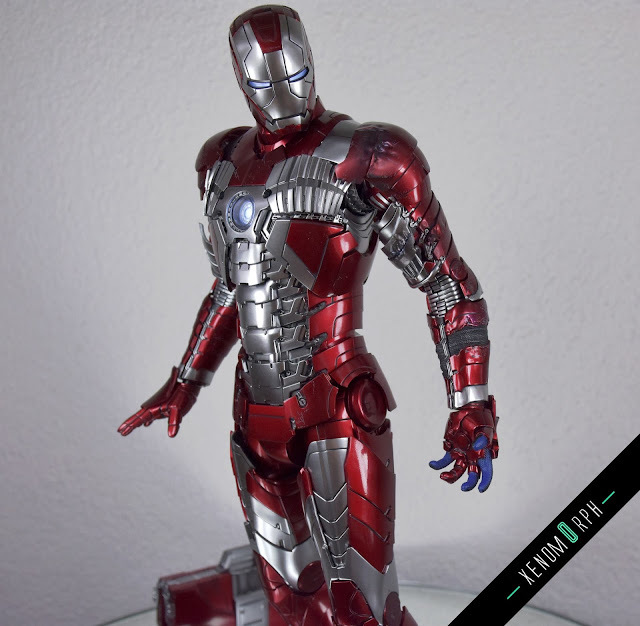 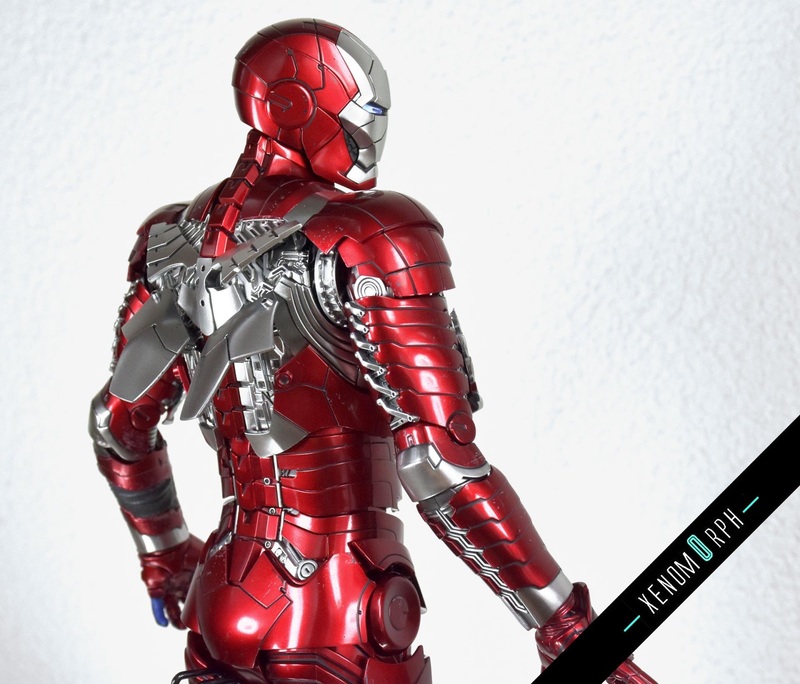 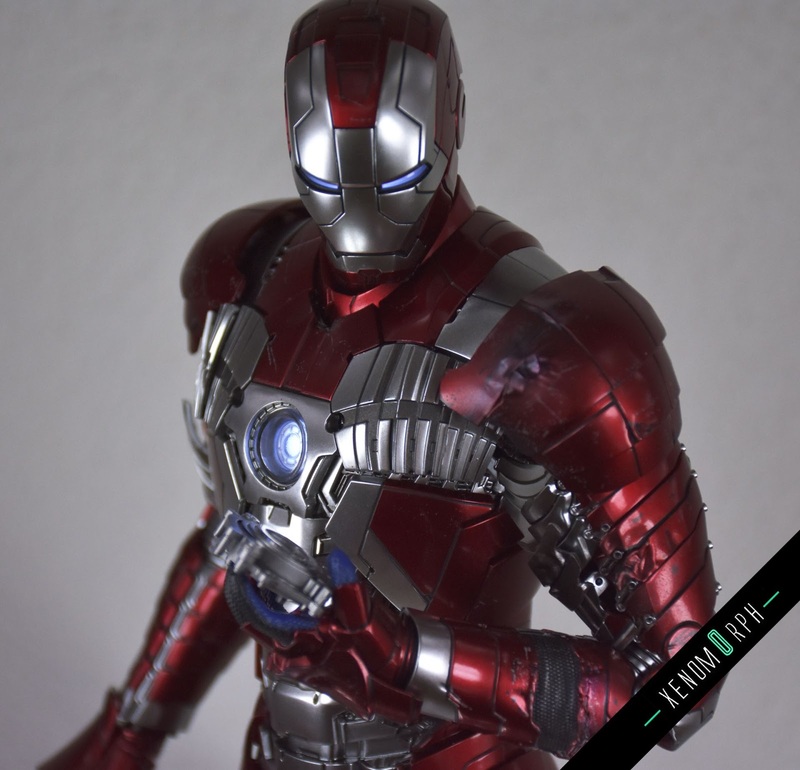 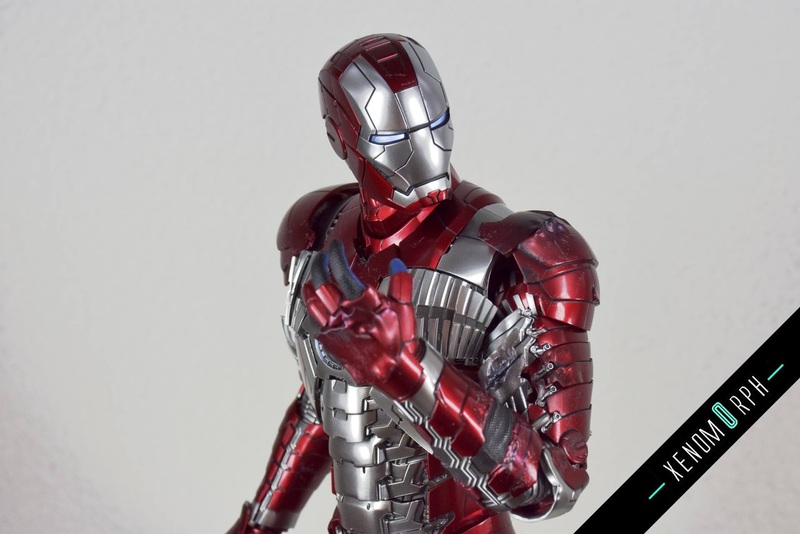 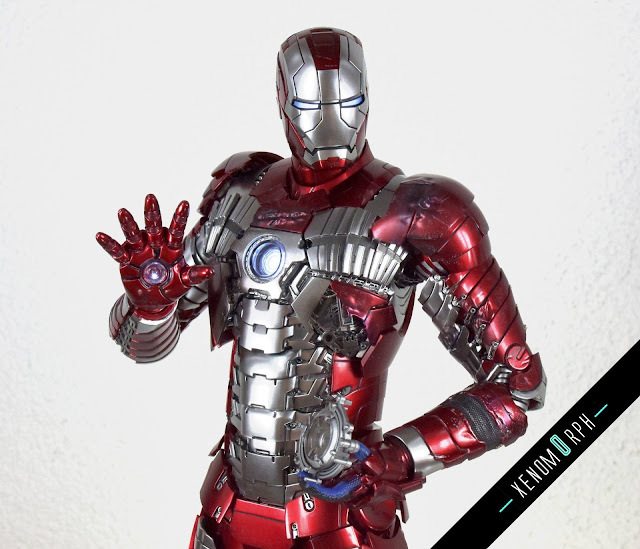 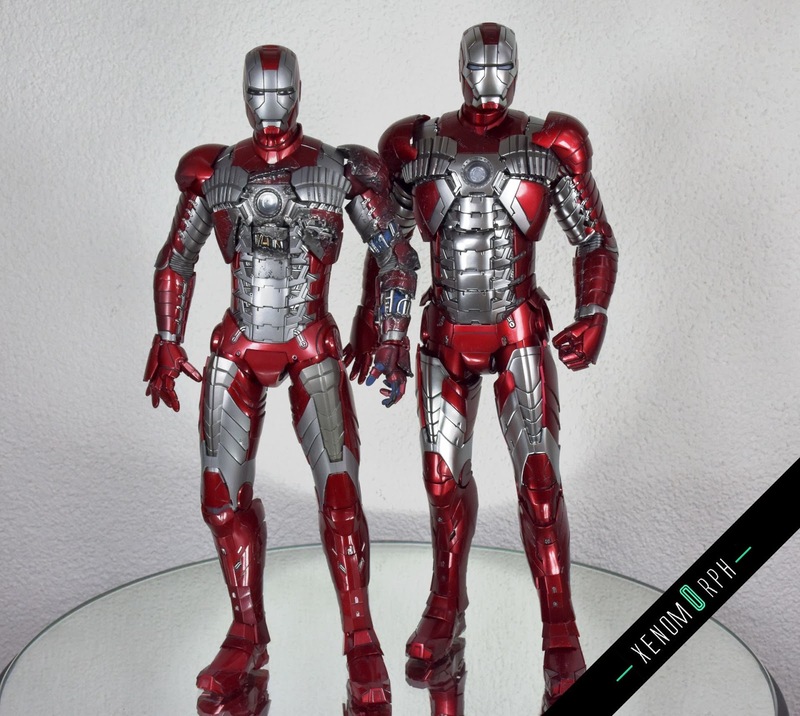 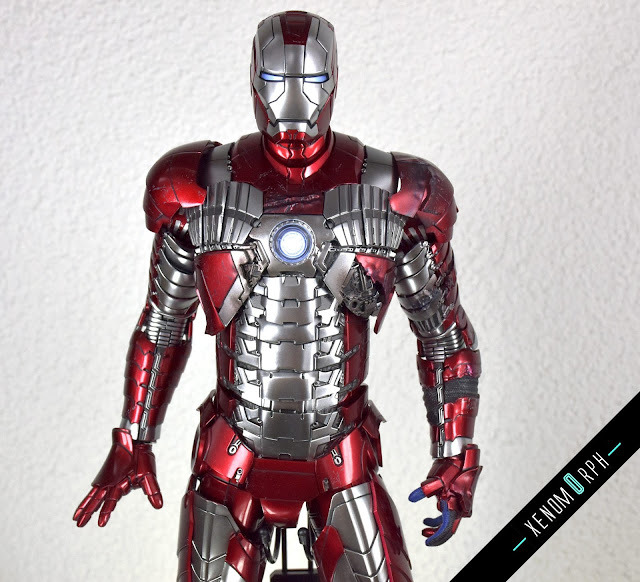 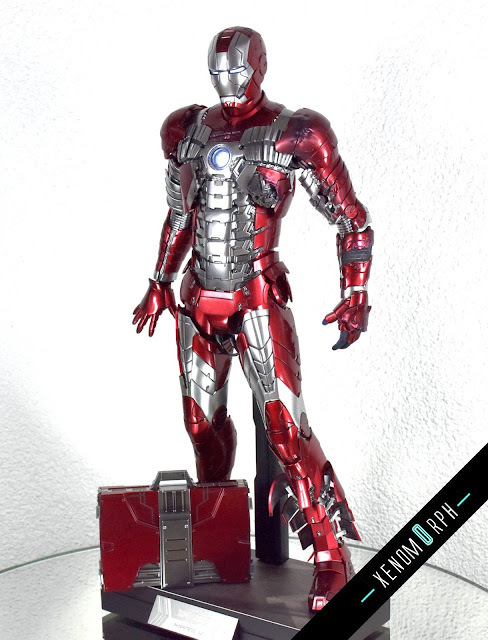 This week i received the Hot Toys Iron Man Mark V re-release in diecast form. 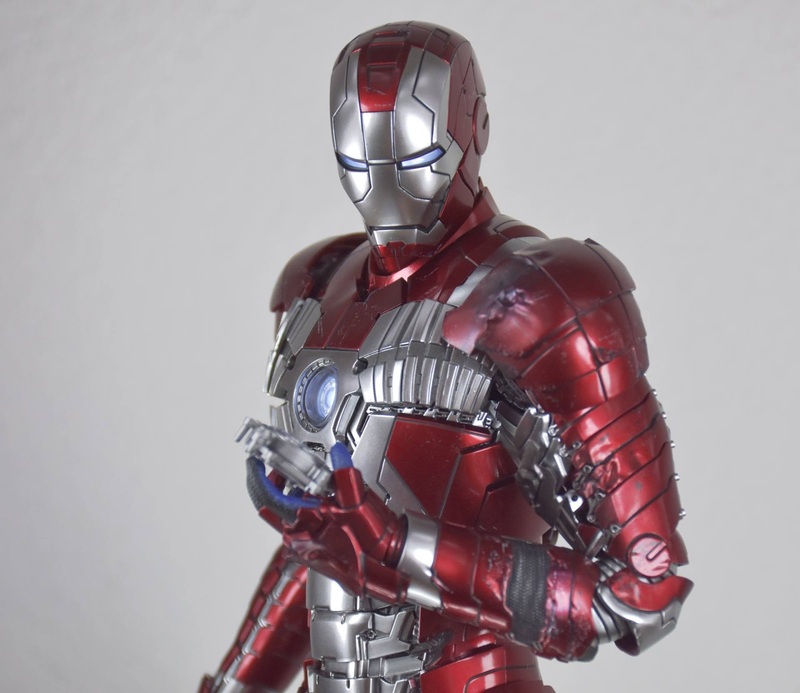 Unfortunately diecast is really just a catch-phrase in this product - on all the parts I checked only within the legs i found diecast as base material. 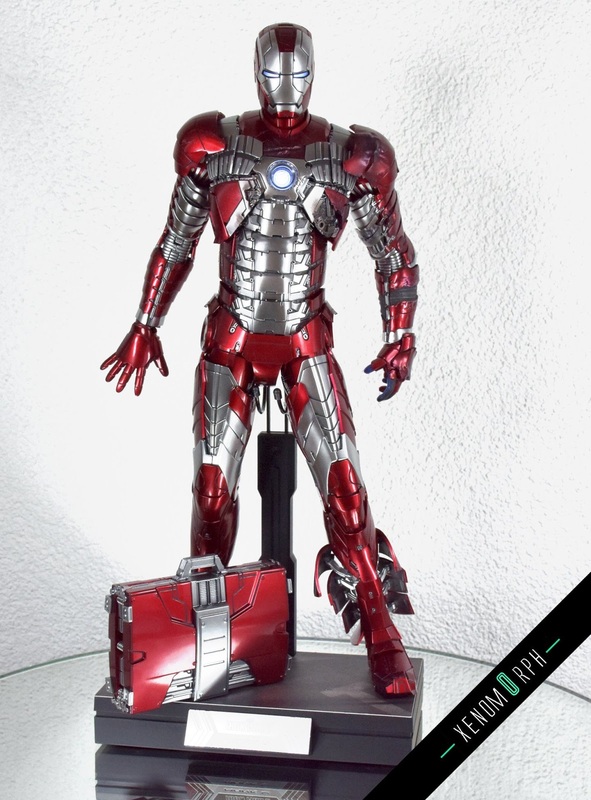 This and some other weaknesses do not justify the high price tag of this figure in my opinion. If you're a Iron Man completionist then it's probably worth an investment, especially for replacing the wacky Mark V from 2011 - compared to original release this one is far superior in most aspects. 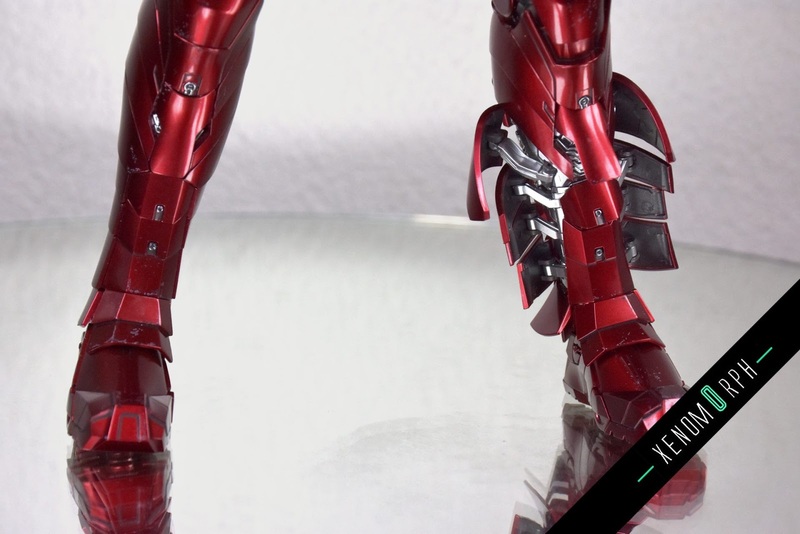 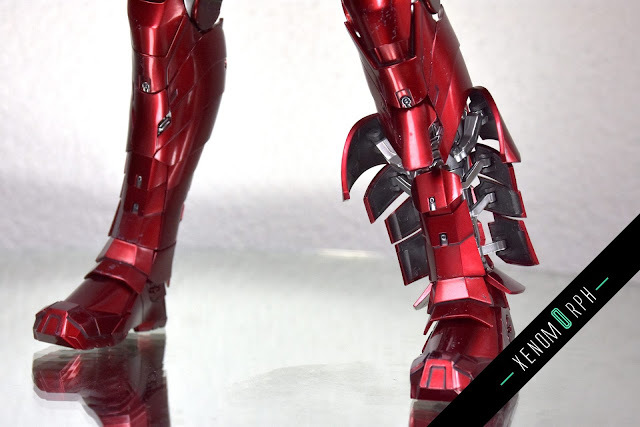 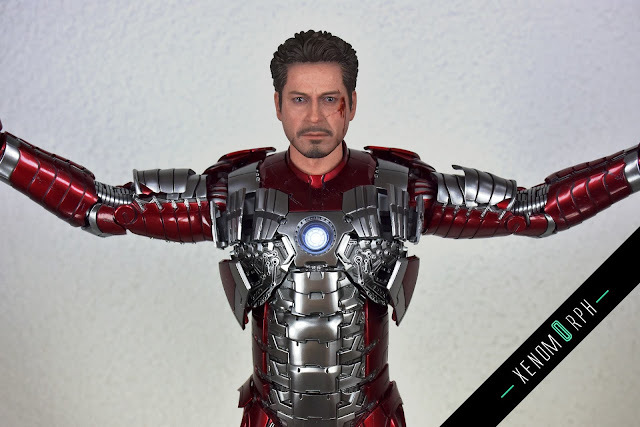 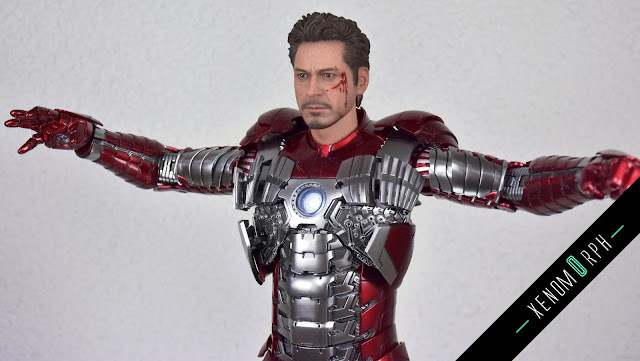 What i still prefer on the old version are the battle damaged effects and the effects where Tony's racing suit is shining through the damaged armor. 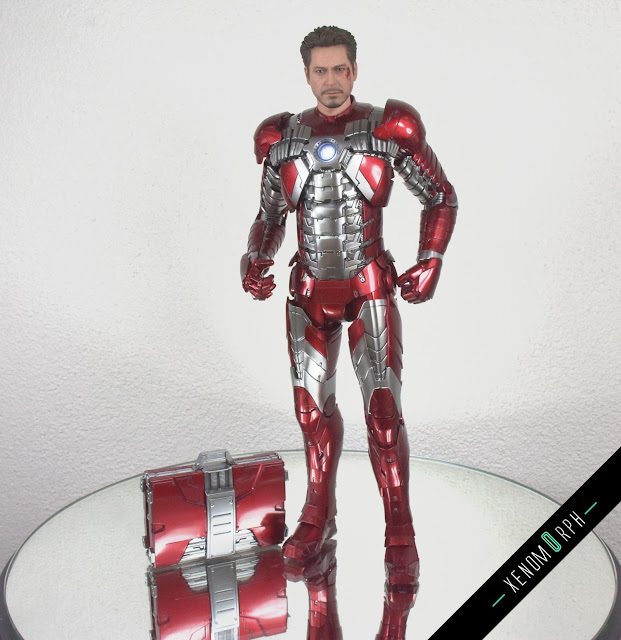 Please be aware of some scaling issues. 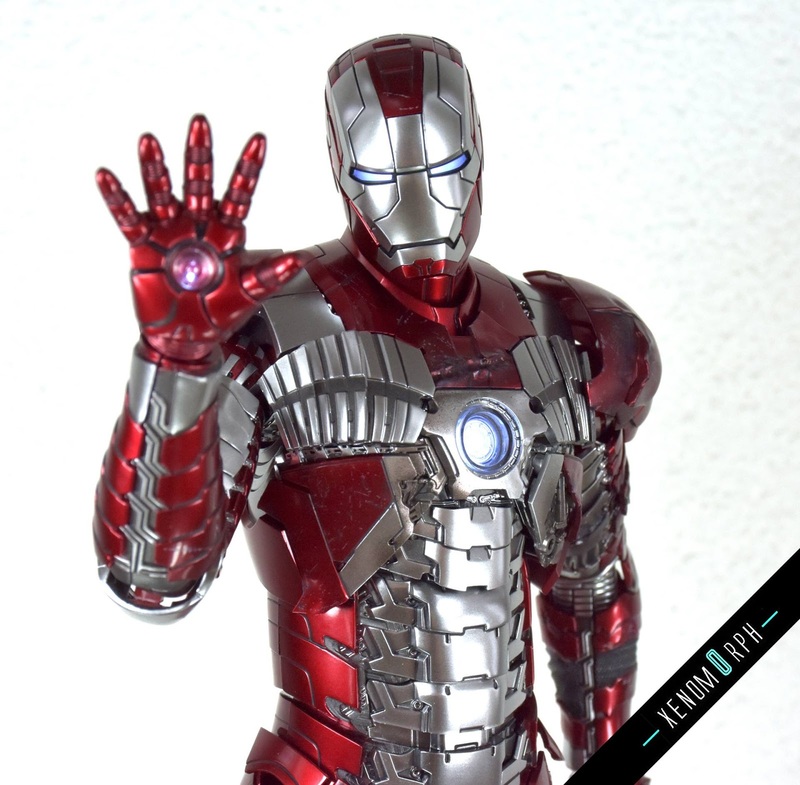 The Mark V is basically a "second skin" for Tony Stark - this effect does not work for me with the latest diecast release. 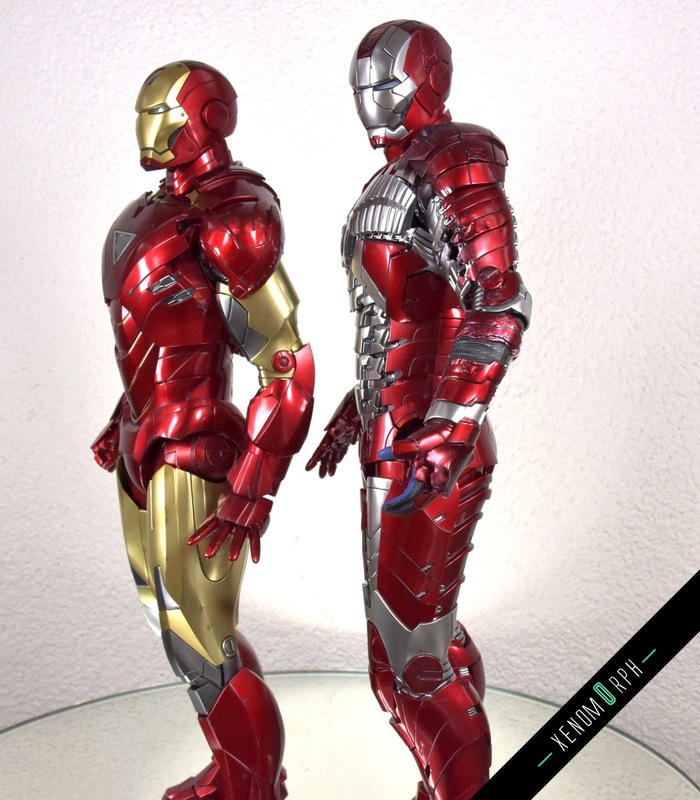 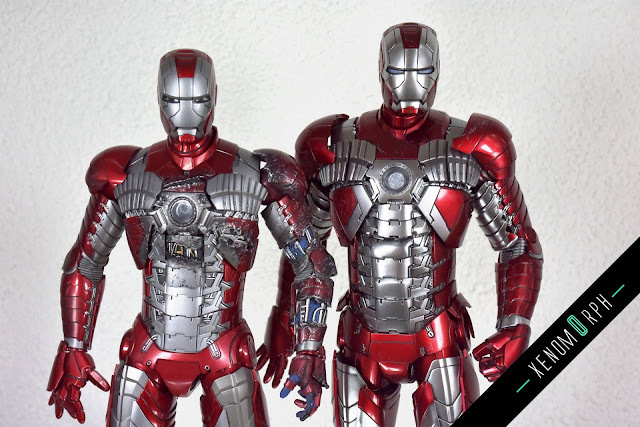 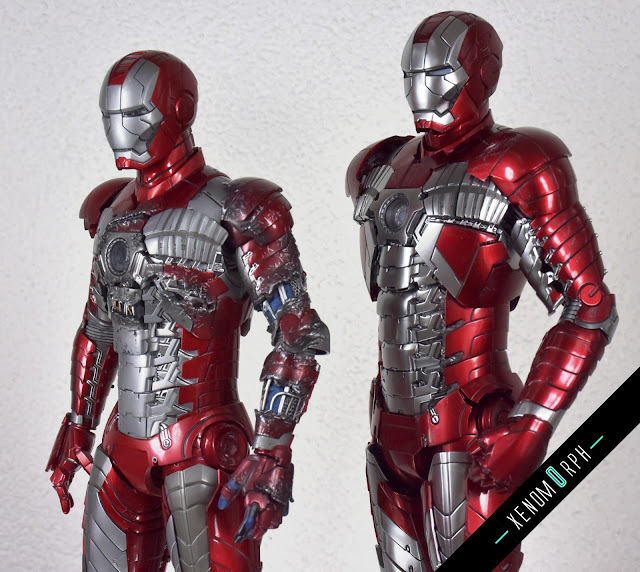 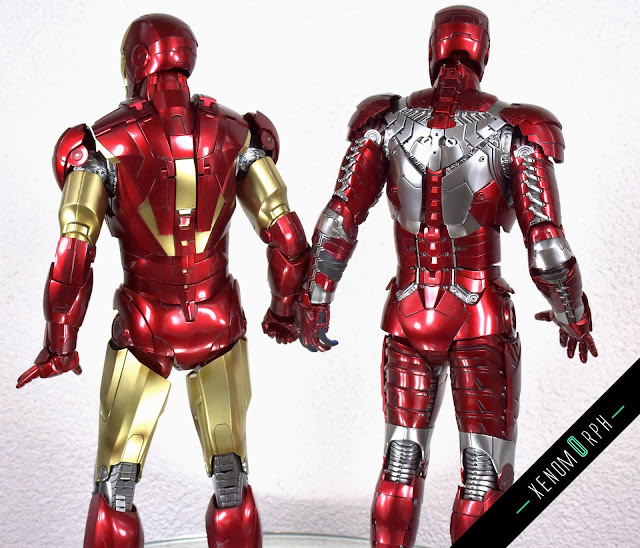 The suit overall is as tall as the Mark VI and also quite bulky. 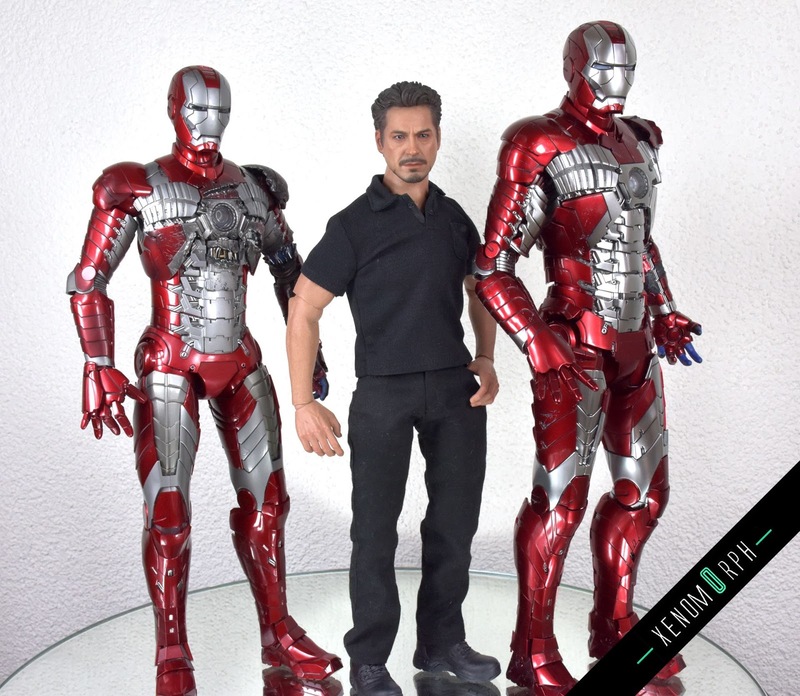 Check the comparison shots. 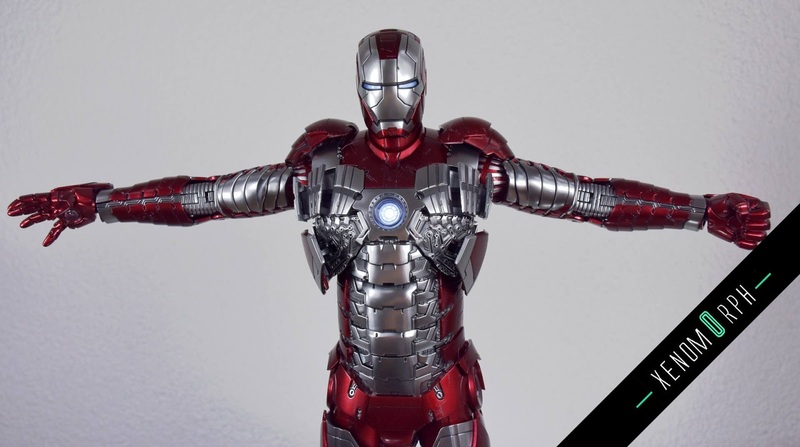 If you consider buying this then the best deal out there is probably at Sideshow Collectibles - check out this link for the product.